I’m a girl with big dreams on serving the community. Paying a lot of attention to current affairs in the society, I want to do my part to make a difference. At the Formosa Daughters’ Festival last year, I was invited by GOH to give a presentation in my school to share my experiences as a volunteer and long-time participant in public affairs. I truly believe that girls can change the world! If we believe we can accomplish something, we should try our best and do it step by step. We girls can really make a difference. I’m currently in the process of forming a teenage girls team with the Gender Advocacy Specialist of GOH, Taichung branch. The team will consist of an excellent entourage of teenage girls who pay close attention to topics related to women. They will assess the policies and developments in our city and determine which of them are detrimental to teenage girls as well how to improve them, making Taichung a girl-friendly city. If I win this award, I believe I can encourage more girls to take actions and chase their dreams for a better future. Having experience from being a member of Municipal Youth Advisory Panel of Taichung City, I know how to deal with different departments and propose ideas effectively. 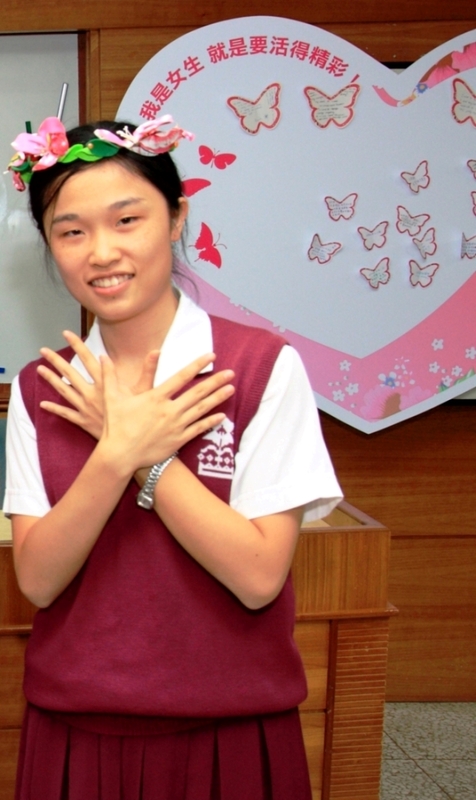 Connections and confidence gained from my vast experience in volunteer work and leading activities for teenage girls would definitely be of great help in my quest to make Taichung a teenage girl friendly city. If I win the award, I will continue putting my efforts into leading the teenage girls team. I hope I can form a team like this in every city in Taiwan. We can communicate with each other, study and understand common and unique women-related policies so that every city will have corresponding improvement in policies and development unique to their city. The ultimate aim being: Making Taiwan a girl-friendly country. 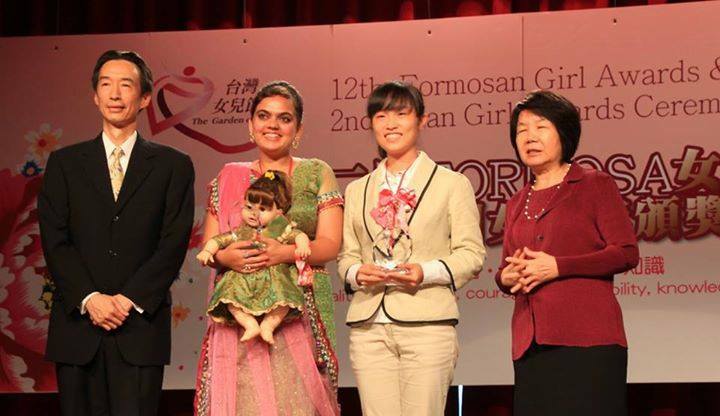 In the future, I hope that teams can be set up in other countries that take part in Asian Girl Campaign so that the situation of women in Asia can be improved as a whole.